I went back to Mary Jo’s Cloth Store, in search of thick, durable cloth. I wanted to make sure that the pillows would not only hold up nicely on the couch, but also hold up in the washer and dryer. I decided on the heavy duty white duck cloth. 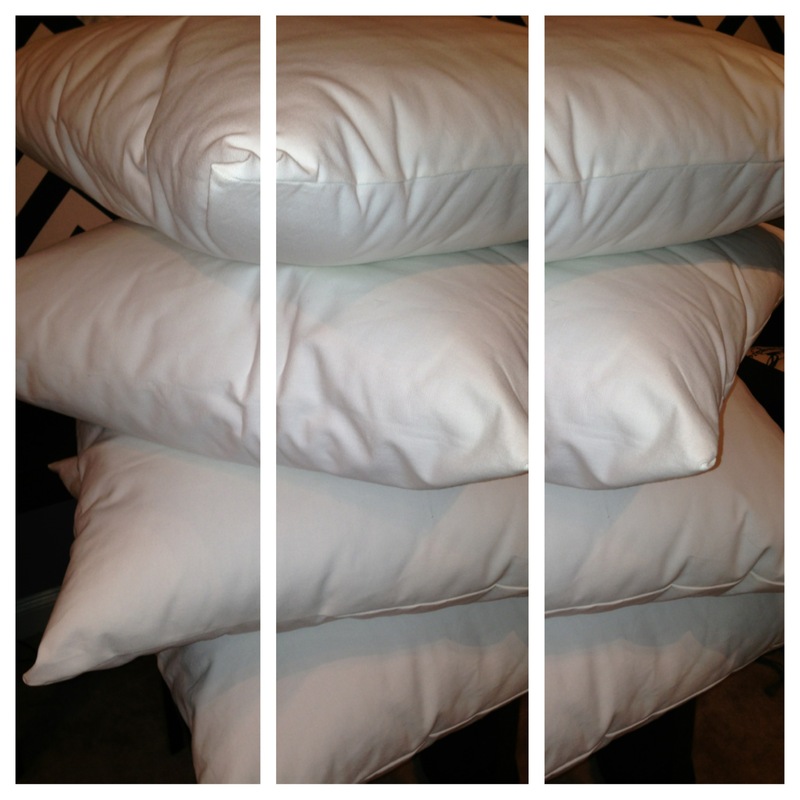 I first used measuring tape on each pillow, then added 1.5″ to each side. 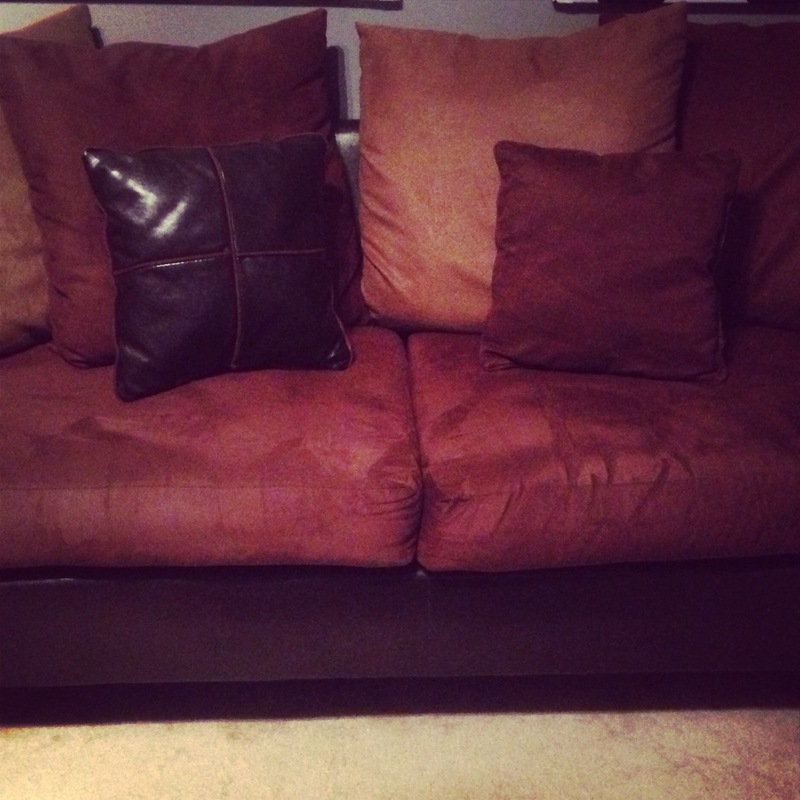 I had to account for the volume of batting around the pillows. 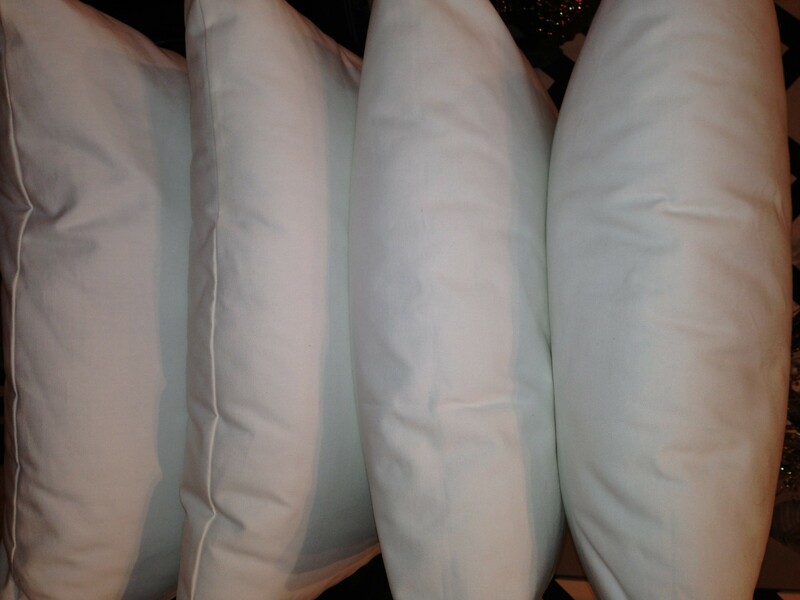 Additionally, I wanted to add some life to the pillows since over time they had become flat. 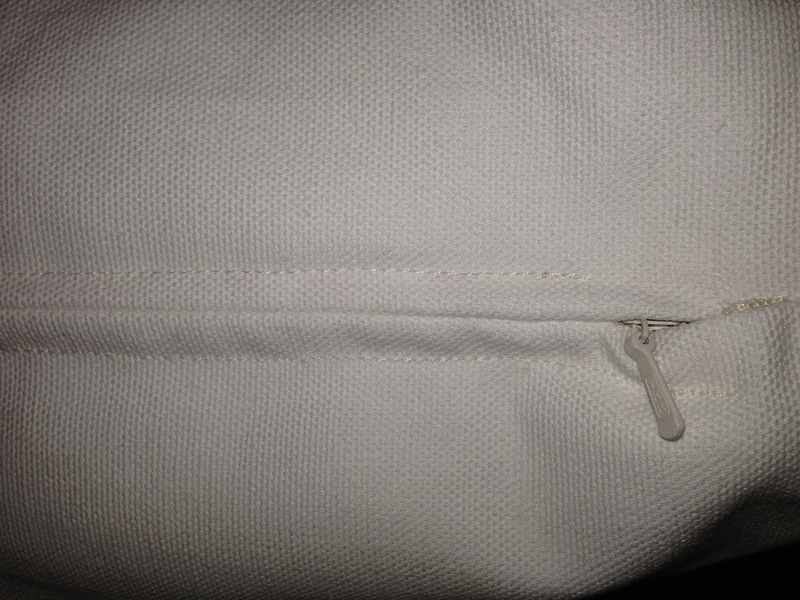 The material inside the pillows were comprised of loose cotton stuffing. 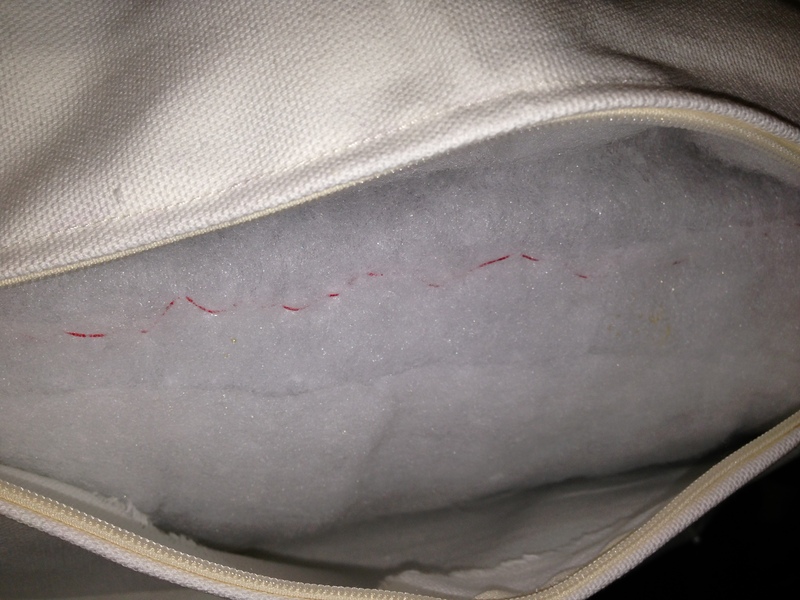 But I was afraid that if I added more cotton stuffing, the pillows might end up lumpy. The solution? I decided to wrap the pillows with a batting sheet made for quilts and it turned out great.